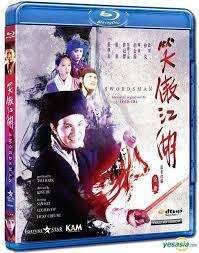 The WuXia genre has always been popular in Hong Kong and it had a resurgence in 1990 with the release of The Swordsman starring Sam Hui, Jacky Cheung and Cecilia Yip. 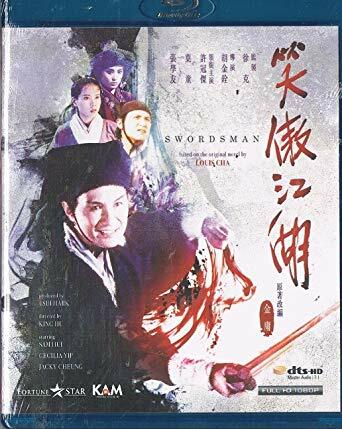 The Swordsman is based on the classic novel by legendary martial arts writer Jin Yong and is a classic tale of Good versus Evil, struggle for power and how a hero remains honest in a corrupt world. Ling Wu-Chung (Sam Hui) might only be concerned with drinking wine and singing, but when the Sacred Scroll, a manual which promises great martial arts power is stolen, Ling is reluctantly drawn into the struggle for the Scroll. Secrets are revealed, loyalty is betrayed, new alliances are made, and Ling begins to realize that when power begins to corrupt, what is good and evil is not so clear anymore. Director credit goes to the legendary King Hu but he was not happy with the script or production and left the film early even though his name is still credited as director even if apparently, only around 10-12 seconds of footage he shot made it into the final film! The producer Tsui Hark and action directors took over which makes Swordsman an odd film to review as it seems to be all over the place at times. Sam Hui makes for an appealing hero but its difficult to keep track of who is who and the story rambles along to an OK climax. Good to see stars such as Yuen Wah and Lam Ching Ying make cameo appearances but they cannot save the film from being a disappointment. The Blu ray from Kam and Ronson is yet again another upscale, poor picture quality make this look no better than the DVD release. Washed out colours and muted blacks don’t help and this really should be avoided if you already have the remastered DVD release. The sound is remixed 7.1 Cantonese which is ok as I did not notice too many instances of added sound FX but yet again no original mono option. Extras a just trailer. My advice would be to watch it as it has some good moments but the sequel starring Jet Li is far superior. The Blu Ray is locked to region A.